Is an International Airline Liable If I Am Injured During the Flight? Accidents can happen anywhere. But where the accident took place can affect your legal rights. For example, if you are injured in a car accident on Tennessee roads, there is no question that the state’s personal injury laws would govern any subsequent lawsuit you file against a negligent party. But what happens if the accident occurs on an airplane and the defendant is an international airline? In such cases, state law is superseded by a treaty known as the Montreal Convention. The United States and 119 other countries–and the European Union–agreed to the Montreal Convention in 1999 as a series of amendments to an older treaty known as the Warsaw Convention. The main purpose of the Montreal Convention is to establish uniform rules for international air travel. With respect to personal injury claims, Article 17 of the Convention states that an airline is “liable for damage sustained in case of death or bodily injury of a passenger” when an accident occurs “on board the aircraft or in the course of of any of the operations of embarking or disembarking.” So if you are injured during a flight or while actually getting on the plane, you have the right to seek damages under Article 17. 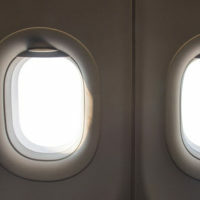 The reference to “death or bodily injury” has long been interpreted to mean that a passenger cannot collect damages for a purely non-physical injury, such as emotional distress suffered during a flight. That said, a plaintiff may still be able to seek compensation if they sustained emotional distress that is connected to a physical injury. The plaintiff subsequently filed suit in Michigan seeking damages for both the physical injury caused by the needle and the “mental anguish” arising from her “possible exposure” to disease. The judge held the plaintiff’s mental anguish claims were “not recoverable” under the Montreal Convention and dismissed that part of her lawsuit. But on appeal, the Sixth Circuit reversed the trial court. As mentioned above, Article 17 allows for damages “in case of” bodily injury sustained by a passenger. The Sixth Circuit explained that “’in case of’ does not mean ’caused by.’” By the plain text of the Montreal Convention, a “passenger’s recovery is conditioned only on the occurrence of an accident that causes death or bodily injury either on board the aircraft or during boarding or deplaning.” In other words, a plaintiff, like the one in this case, may seek damages “for her mental anguish,” since it was “sustained in the case of” an underlying bodily injury. The law governing personal injury is complicated regardless of the location and circumstances. That is why it is critical to always work with a qualified Tennessee personal injury lawyer who understands the law and how it can help you. Contact the offices of Fox & Farley, Attorneys at Law, in Knoxville or Clinton if you need to speak with someone about your case right away.